Question: What is the power of the green ring? The TV series “Twin Peaks” became such a success that Lynch decided to make a feature film about the last week of Laura Palmer’s life. The film goes deeper into the mysteries foreshadowed in the TV series. We got more information on the death of Teresa Banks, the girl who had the green ring before Laura. We also meet special agents Ches Desmond and Phillip Jeffries before they disappear into the unknown. The film tries to answer some of the questions from the TV series, but it also raises new ones. For instance, what is the power of the green ring? 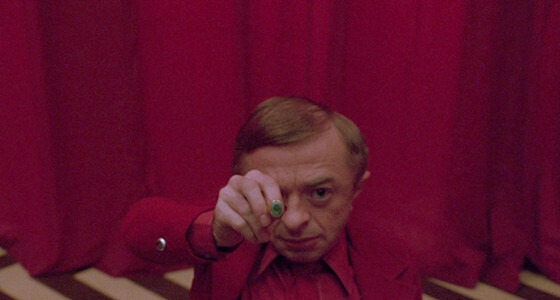 First of all, it seems it is the key to entering the Black Lodge, but once in, you cannot leave. As Cooper, led by his intuition, tries to stop Laura from having the ring even before he knows her, another character named Mike does his best to give her the ring before she dies. Years later from “Final Dossier,” we learn that the same ring has been in the possession of other characters, who have either disappeared or are somehow connected with the dark forces from the Black Lodge. One of Lynch’s favorite things is mixing his characters’ personalities and creating two characters played by the same actor, or two actors playing the same character. In the case of “Lost Highway,” he uses both tropes. First, we have the family of Fred and Renee, who started receiving videotapes of footage shot in their home. Fred meets a creepy man, credited as the Mystery Man. He shows Fred that at the same time they are having a conversation at a party, he is also at his house. Fred calls his home phone, which is answered by the Mystery Man. In the meantime, videotapes continue to appear and one day Fred wakes up to find one, showing him next to the dead body of Renee. It seems that he has killed her, although there is no evidence of such, and Fred has no memory of the accident. He is sentenced to death. One day the policemen find someone else in his cell. A young guy named Pete has taken his place. Pete is released and he goes back to his regular life in a car repair garage. One of his clients, named Mr. Eddy, has a mistress who looks exactly like Renee, named Alice. Pete and Alice start an affair, which leads to committing a few crimes and finally ending up in a cabin in the forest. There, Alice disappears after telling Pete he can never have her, and he turns back into Fred. Fred enters the cabin looking for her, only to find the Mystery Man inside recording his video camera. The film finished with Fred driving through the so-called “lost highway,” suddenly starting convulsing and screaming. One of the possible explanations of the appearance of Pete is that he is Fred’s alter ego, created in order to escape the fear of the upcoming death sentence. Pete is younger than Fred, women like him, and he seems to be better in bed. Pete has an affair with a woman who looks like Renee but is not her. In the last part of the film, Pete’s persona disintegrates to give space for Fred to reappear, only to meet with the horrifying Mystery Man again and to eventually die on the electric chair, which appears to happen in the final scene. Question: What is in the blue box? At the beginning of the film, we have a character named Betty who seems innocent and sweet and who is starting her dream life as an actress in Hollywood. She meets a beautiful woman with amnesia, who calls herself Rita (because she does not remember her name) and she tries to help her find the truth about her life. In the meantime, she gets approved for a big role in a movie, and also starts an affair with Rita. Everything changes when, after they attend a midnight performance in a theater called “Silencio” where an emcee explains that everything is an illusion, Betty finds a blue box in her purse. Back at home while opening the blue box, Betty disappears and Rita is left with the open box. After this scene, everything in the film changes. In another reality, Betty is a failed actress named Diane, and Rita is her ex-lover and a successful actress named Camilla. Camilla invites Diane to a party, only to tease her with her new boyfriend – a well-known film director. Diane feels so betrayed and humiliated that she orders Camilla’s murder. The assassin shows her a blue key and tells her she will find it when the job is done. “What does it open?” asks Diane. In the next scene, we see a scary dark figure playing with the blue box and key and dropping it on the ground. Out of the box comes a creepy old couple who go to Betty’s home and terrorize her until she kills herself. As with “Lost Highway,” here we have a “real” story and also a fantasy. Only here, the films starts with the fantasy, and after opening the blue box, it goes to the real story of the depressed unsuccessful actress Diane, who is so frustrated with her life that she wants to kill her lover. Being unable to face the guilt, which she associates with the blue key (which in her imagination should be opening a matching box), she creates a fantasy in which she is happy and prosperous and Camilla is helpless and needs her. Question: Which is the real story? “Inland Empire” is maybe one of the most confusing films of all time. There are a few overlapping stories, some of which take part in the same universe and some are completely separate in time and space, and yet everything still comes together in the final scene after the credits. First, there is an unnamed Polish prostitute who is somehow trapped in a hotel room for eternity. Then we meet our protagonist Nicky, an actress, who appears both as herself and as her character in a film about adultery, and is hard to distinguish between when she is experiencing her own life and when she is acting. She plays a married woman, as she is also married, and starts an affair with a married man. She also does this in real life, with the actor who plays her lover in the film. Throughout the film, we see Nicky and her character confronting different situations with abusive or bad-behaving men, and this all culminates in her character complaining to a man in a small room, who might be lawyer or detective, about the men she has had have trouble with in her life. In the meantime, there is a woman who tries to kill her, who is the wife of her lover in the film, but somehow she manages to kill her in her real life, where she is Nicky. Or it seems so at a moment, but then we see that this was actually the final scene of the film; Nicky is alive, unable to recognize the fictional world from the movie with reality. At that point, it is hard for us as well to tell in which dimension the events are taking place, but we follow Nicky/her character along, as she goes through a hotel and confronts a character called the Phantom, whom she kills. Only then is she able to release the girl who is trapped in the hotel room. The two embrace and Nicky disappears, as she has never been real. All the events leave us wondering what is real in the reality of “Inland Empire,” and what is fiction in the fictional reality. If we follow the statement of the emcee in “Mulholland Drive,” everything is an illusion and stories are created to take place in someone’s imagination, but nothing is real. In the last scene, we find Nicky and all the other characters from the alternative timelines dancing in a room together, as it was all just a dream. Question: Is it the future or is it the past? The TV show “Twin Peaks” has become a cinematic and pop culture phenomenon. 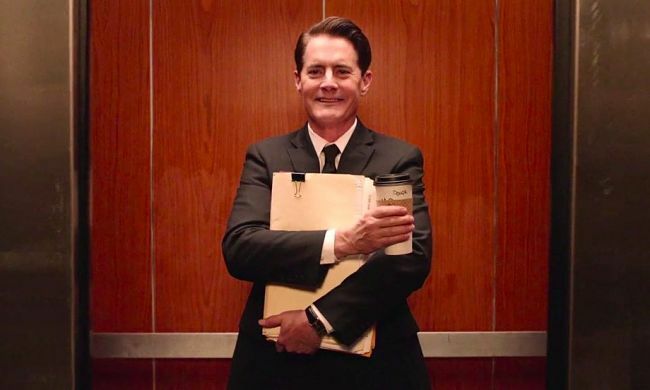 Twenty-five years after Laura Palmer whispered in Agent Cooper’s ear that they will meet again, her words come true. The latest season of “Twin Peaks” resolves some of the old mysteries, but brings up new ones. What is the plan of the Giant? What does the evil Cooper want? It is hard to tell the answer, but there are some possibilities. It may be the past and this is Laura’s dream, with Cooper having saved her from being murdered that night, and everything that happened afterward is a dream of hers in which she is Carrie Page. But the dream is interrupted by her mother’s call, which we remember from the first episode of the first season, only this time, Laura is safe in her bed. The year is 1992. It is the future, changing the timeline of the night of Laura’s murder; Cooper has created an alternative reality in which Laura disappears in the Twin Peaks universe and starts a new life in Odessa as Carrie Page. This universe is the new reality, in which the Double R Diner does not exist and the Palmer family has never lived in that home or even existed. The year is 2017.